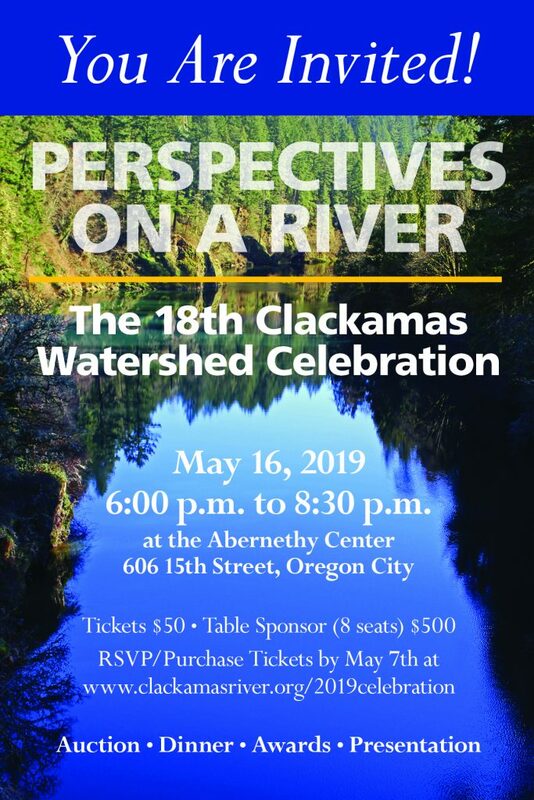 Please join us for the 18th Annual Clackamas Watershed Celebration. This year we explore a variety of perspectives on the watershed, including 4 recent major projects. We’ll hear from a variety river users, from whitewater paddlers, woodlot owners, farmers, fish biologists and weekend recreational users. Our keynote speaker will be Curt Melcher, Director of the Oregon Department of Fish and Wildlife. Mr. Melcher is a native Oregonian and has been with the Oregon Department of Fish and Wildlife for 28 years. He started his career as a district biologist before serving as deputy director and now as director of the agency. Location: Abernethy Center located at 606 15th Street, Oregon City, OR 97045. Tickets are $50 each, with an encouraged additional donation of $15 (tax-deductible). The night will include a silent auction, dinner, drinks, awards, and presentation. Tickets can also be purchased via check. 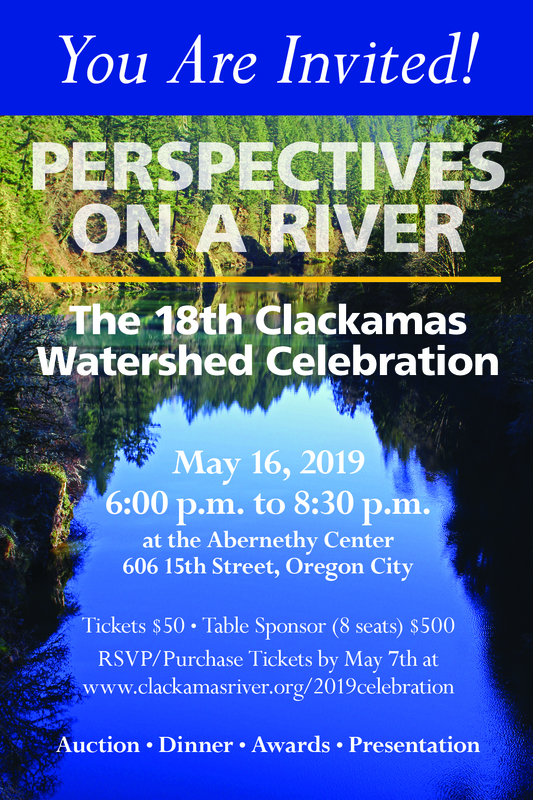 Contact Pat Kaczmarek at pat@clackamasriver.org or (503) 303-4372 with any questions.